Remember you are born to live. Don’t live because you are born! 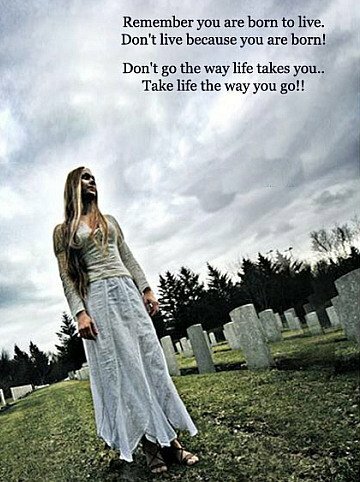 Don’t go the way life takes you… Take life the way you go!